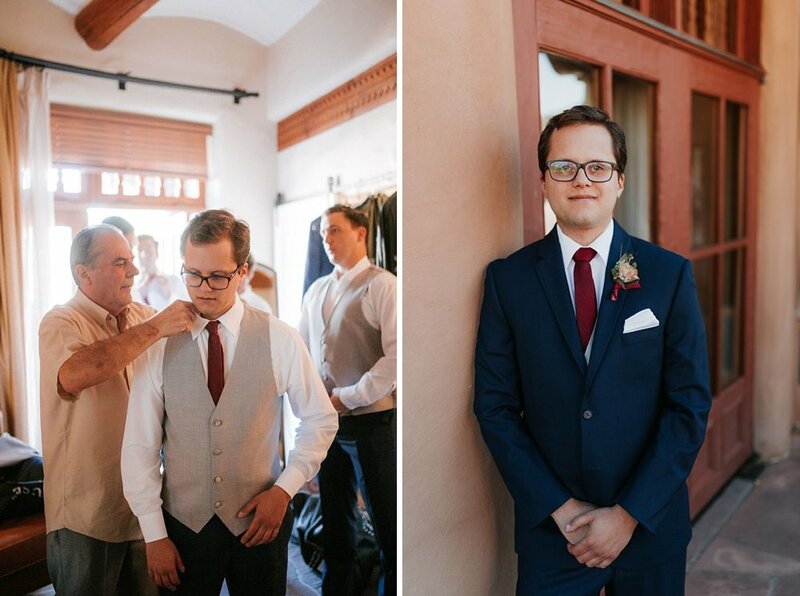 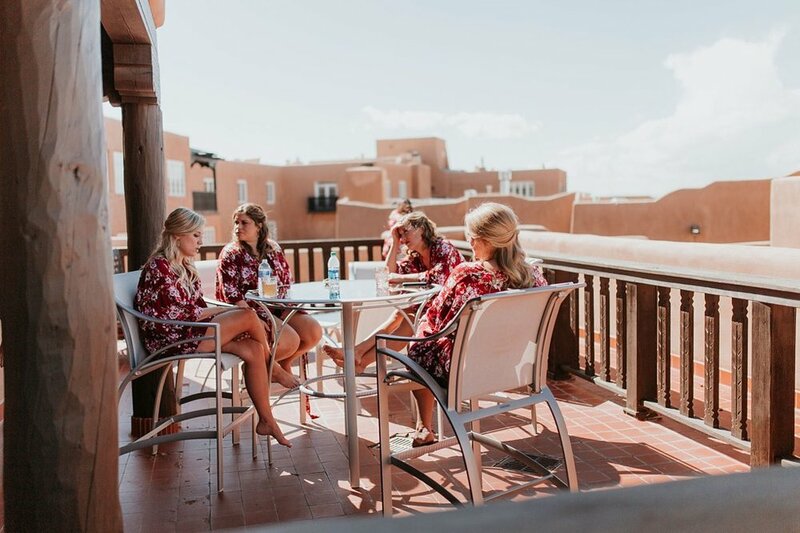 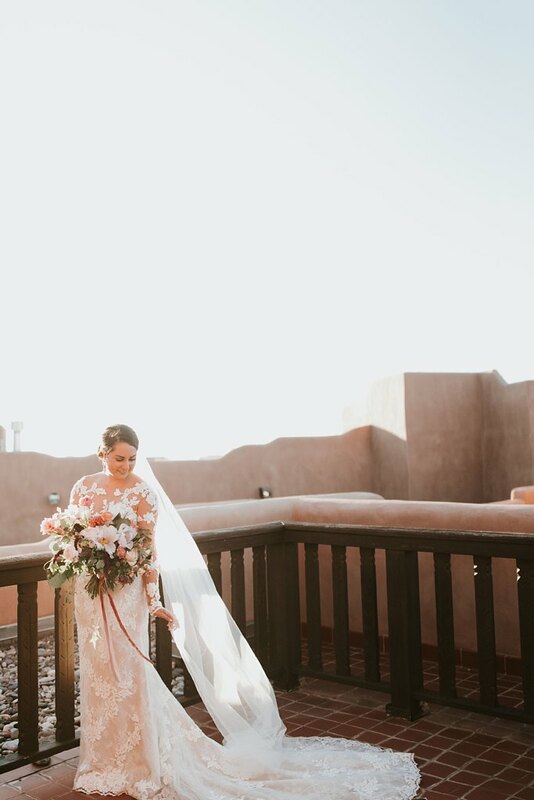 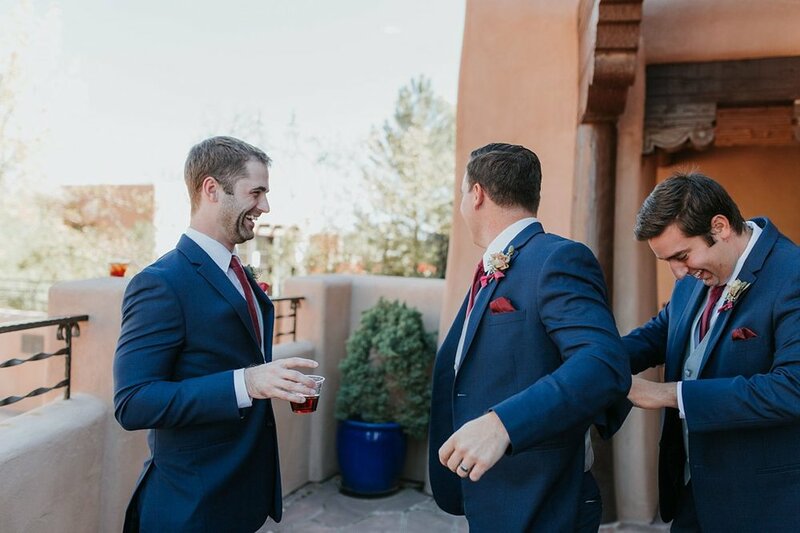 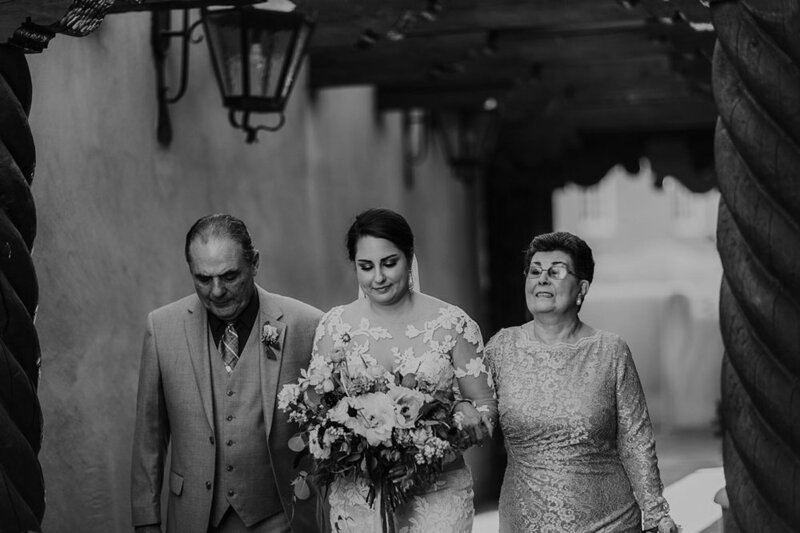 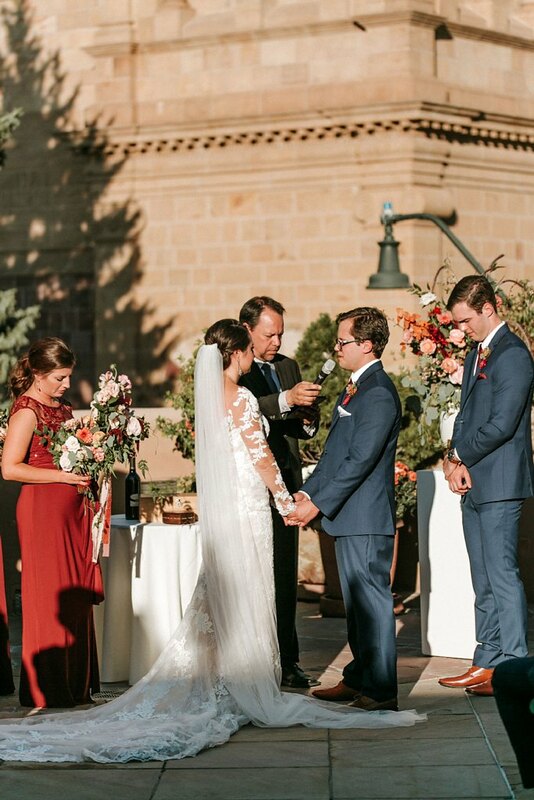 This September we kicked off the first official day of fall with David and Lauren’s incredibly gorgeous (and honestly perfect) wedding at La Fonda on the Plaza. 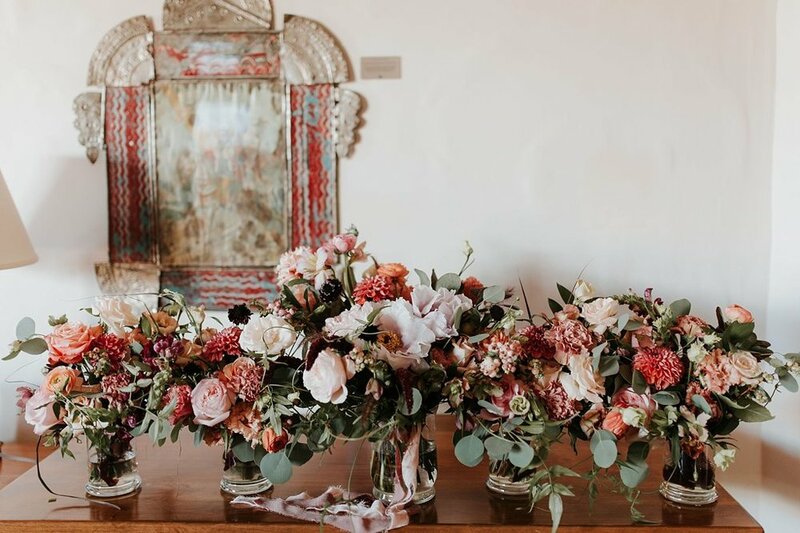 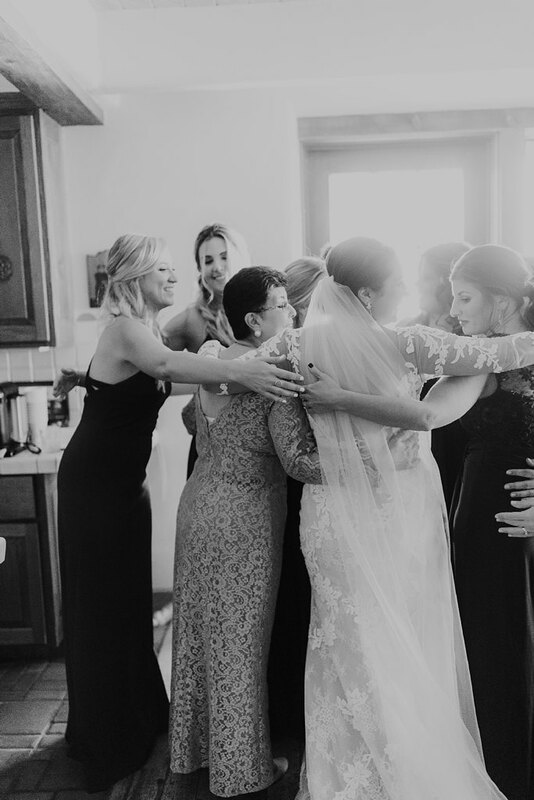 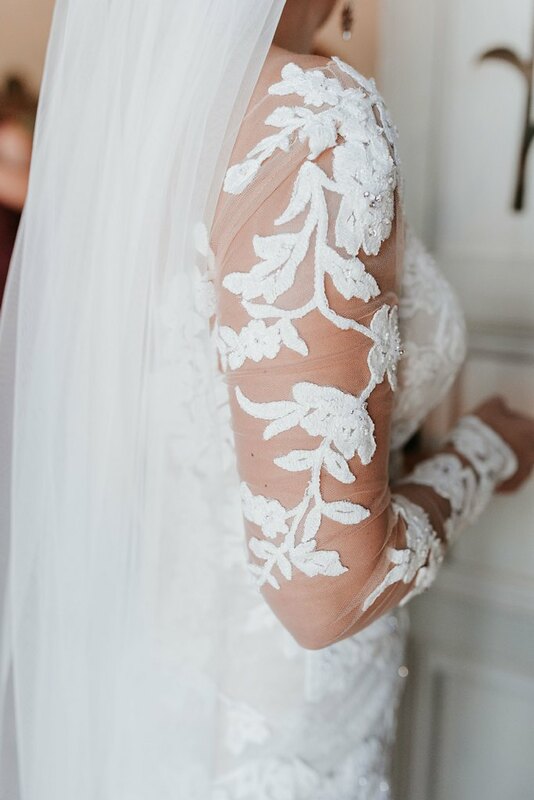 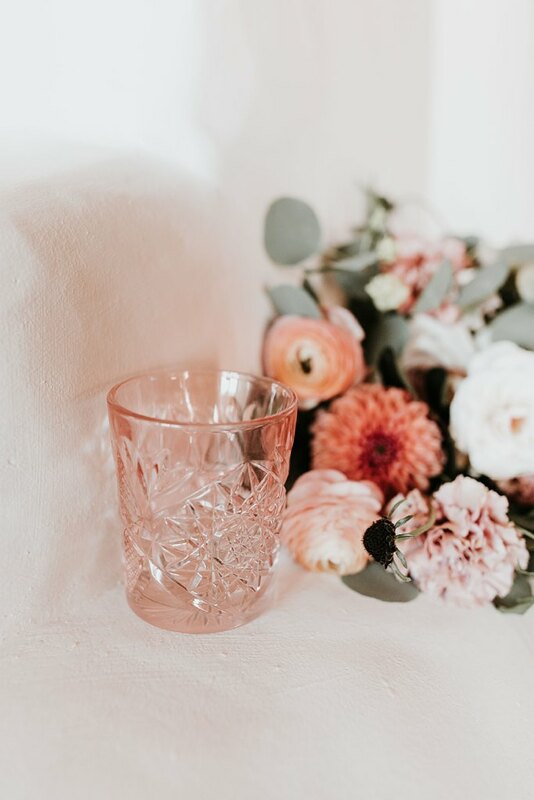 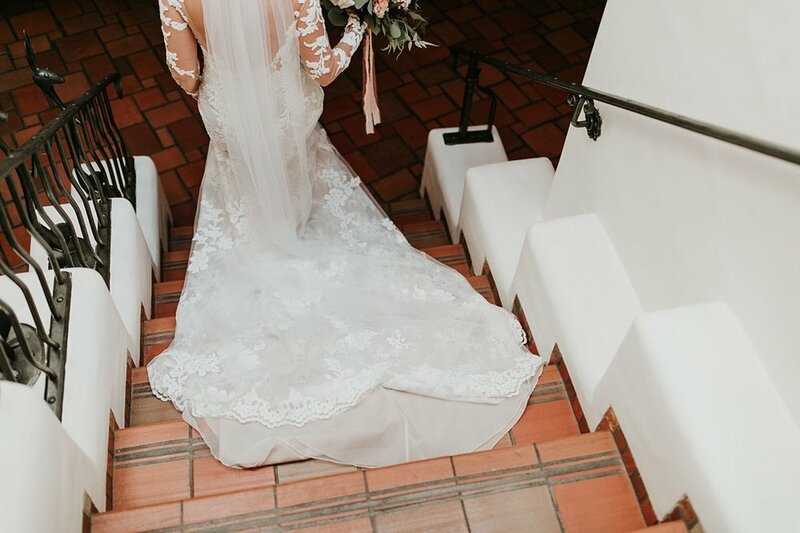 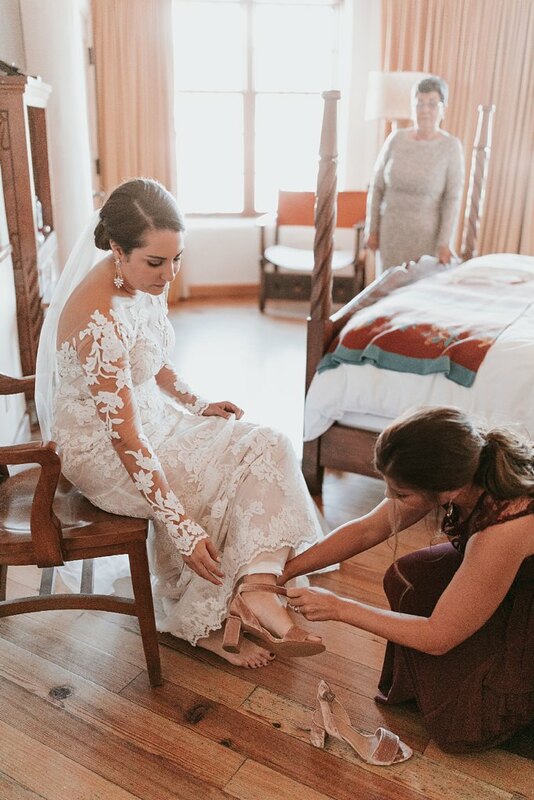 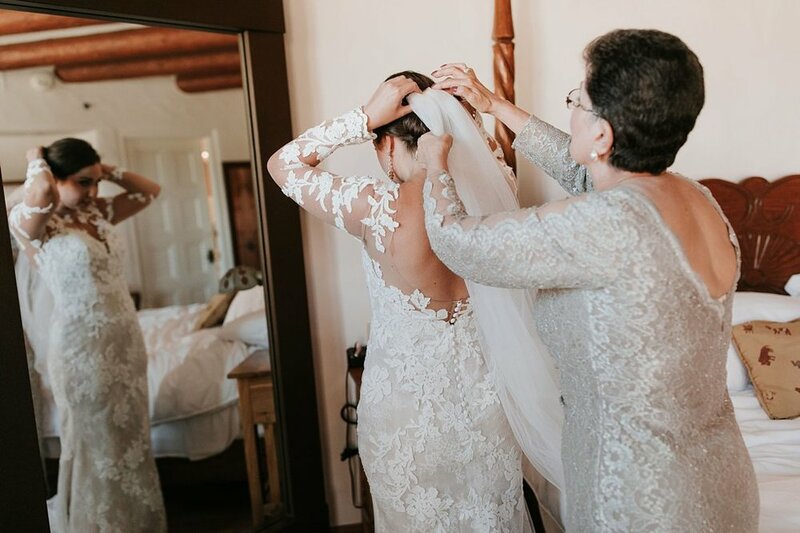 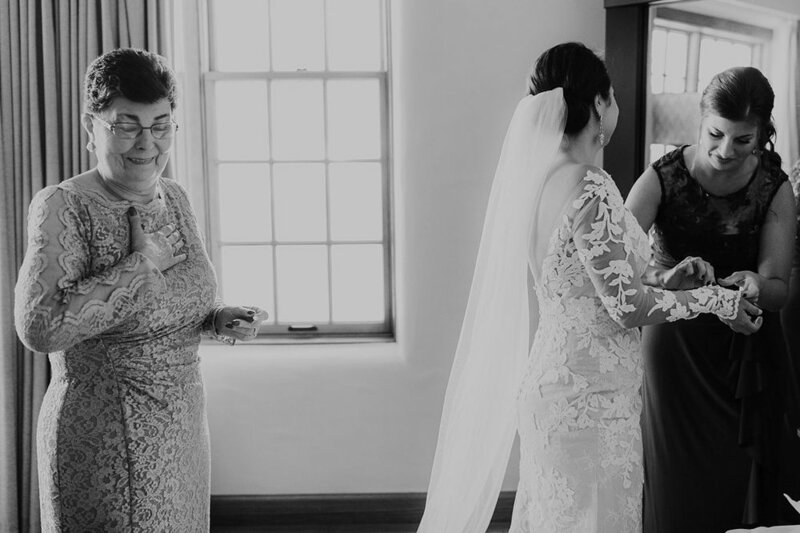 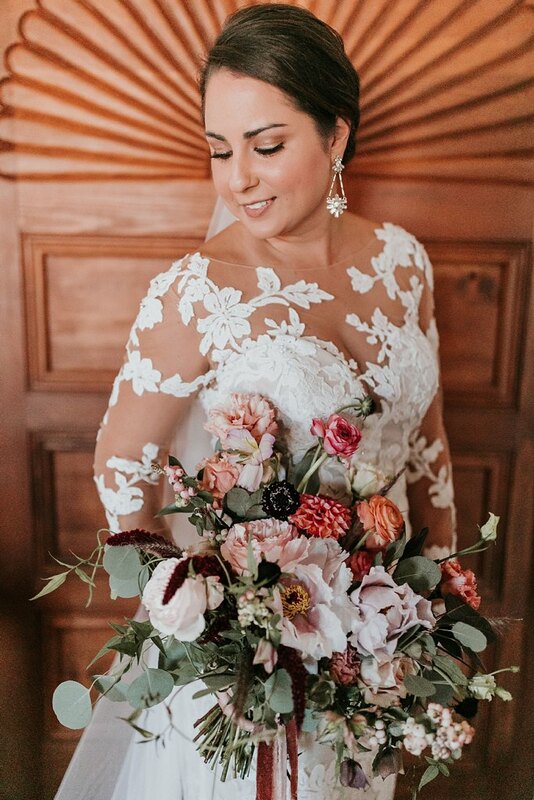 From wine colored bridesmaid dresses to dark floral arrangements to the loveliest long-sleeve, lace Pronovias gown, this day was a dream and a half! 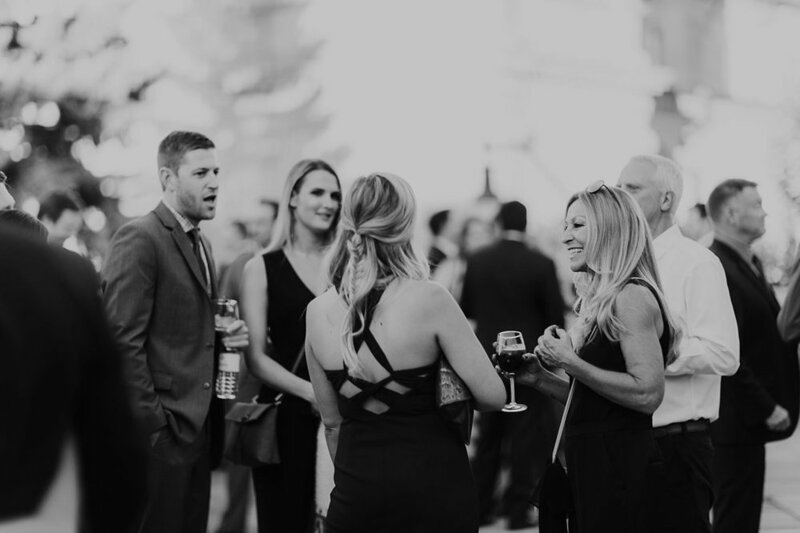 These Dallas babes met while playing co-ed kickball (Lauren wanted a drink and David just happened to be chilling right by the cooler) and have had the coolest adventures ever since. 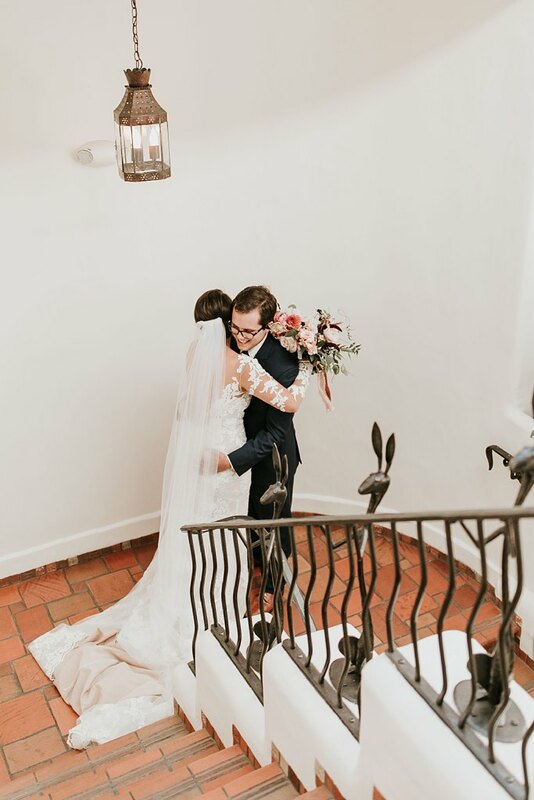 From countless trips to Disney (vacations that inspired their song choices for Lauren’s bridal entrance and the couple’s grand entrance) to getting engaged in their fave Texas wine county (and eating bomb German food after) where they had their first anniversary years ago. 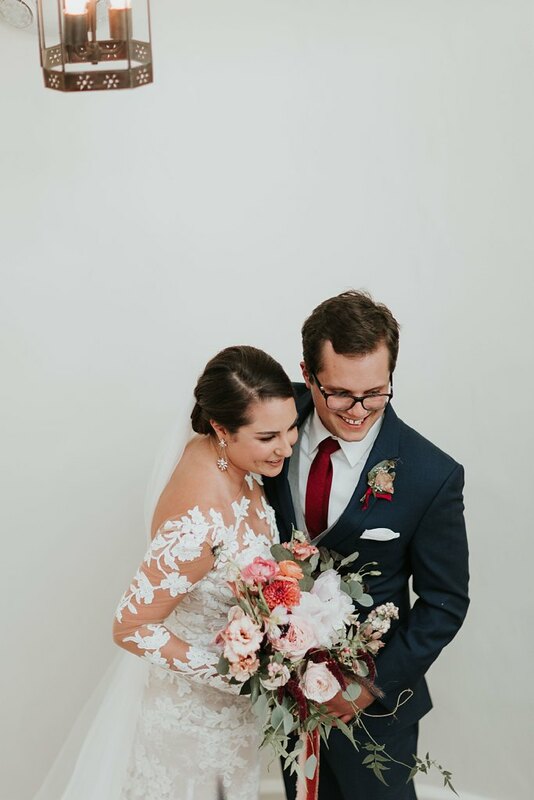 Being the ultimate husband goals that he is, David helped out with a ton of the wedding planning (with zero complaints) and suggested the delicate tambourines for their post ceremony parade and their chili favors! 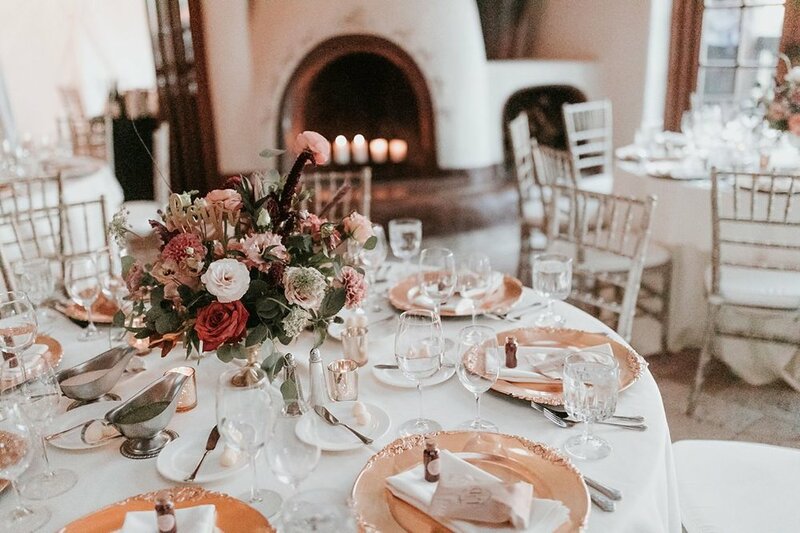 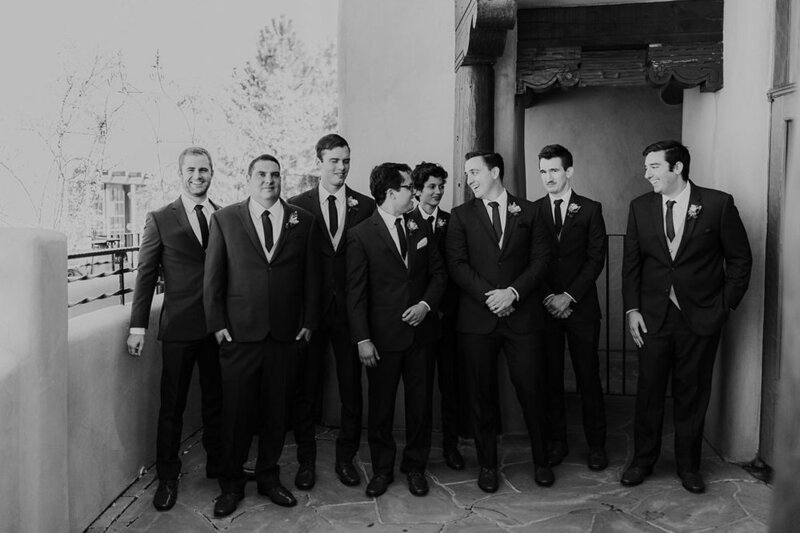 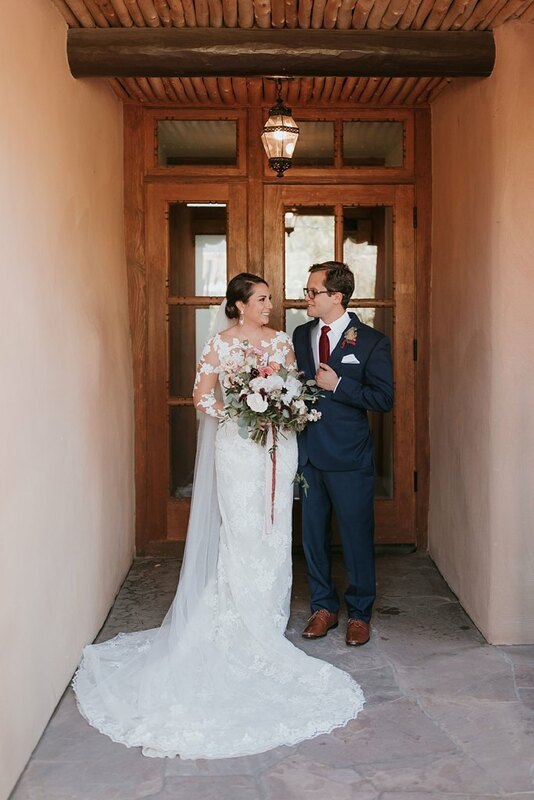 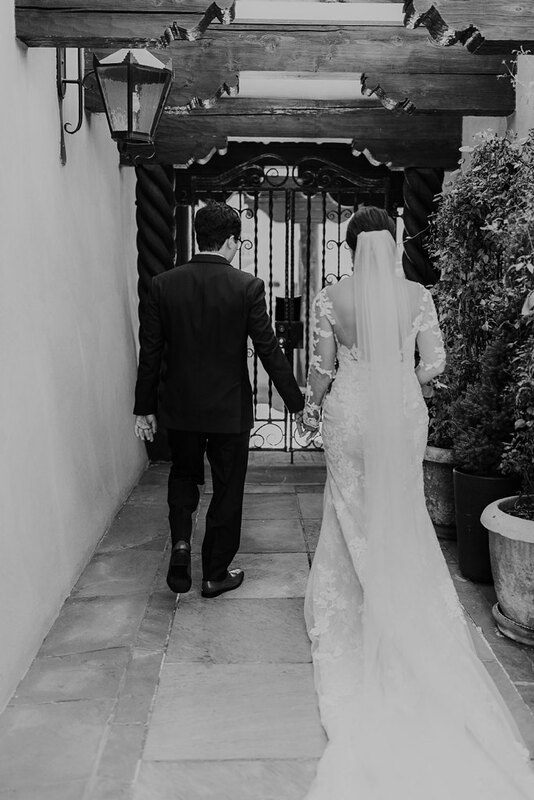 Together, David and Lauren decided on La Fonda due to its incredible history and all of its insanely beautiful views (honestly we’ve never caught a bad angle of this dreamy venue). 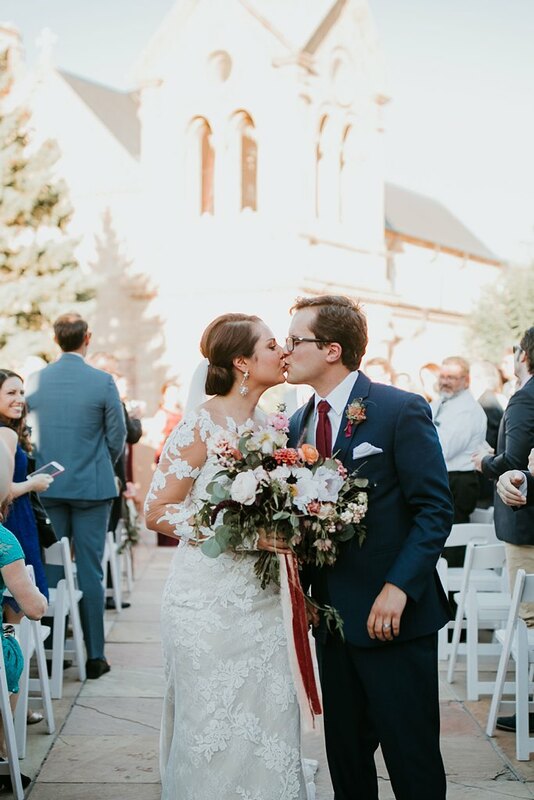 We’re soooo beyond thankful for gracious, wonderful, and downright fun couples like these lovers! 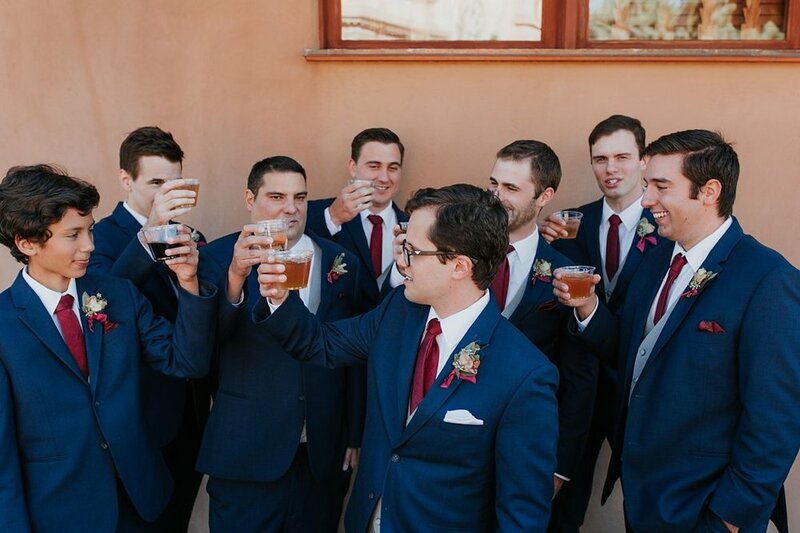 Cheers babes, we’ll never forget your incredible day!!!! 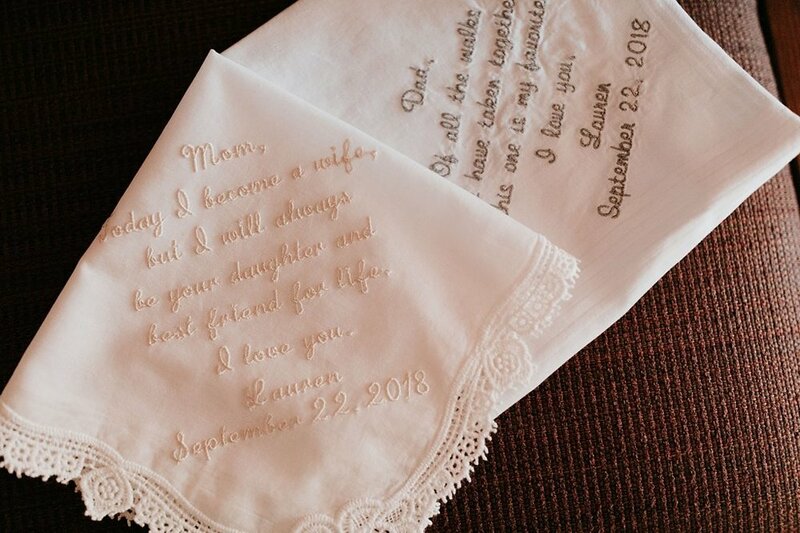 Ribbon + Silks - Honey Silk & Co.